As reported by Cruise Industry News last week, the Saga Pearl II will be transfered to the Spirit for Adventure brand in May 2012. Saga Holidays has confirmed that Quest for Adventure will take over from the Spirit of Adventure from May 2012. Quest for Adventure - currently operating as Saga Pearl II - will transfer to the Spirit of Adventure Cruise collection, operating in association with Saga. This is part of a brand integration plan that now sees all cruise customers benefit from included travel insurance and UK travel service. With only 446 passengers, Quest for Adventure will continue to offer the same high quality small ship cruising experience that passengers have come to expect from Spirit of Adventure. She was given a multi-million pound refurbishment at Swansea last year and enjoys a similar contemporary style. As well as first-class service, passengers can expect contemporary and elegant surroundings with a familiar relaxed crew. Additionally Quest for Adventure offers balcony cabins giving even more choice. 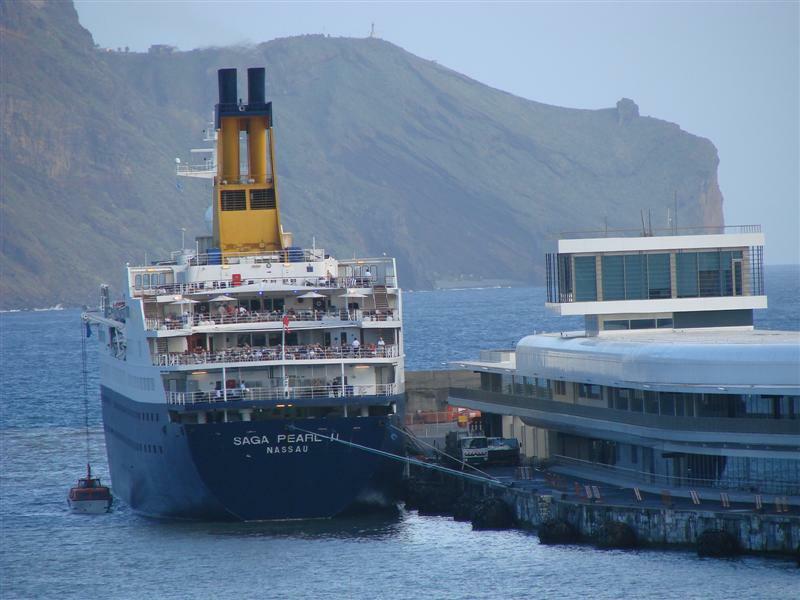 Robin Shaw, CEO, Saga Shipping said: "With the arrival of the Saga Sapphire in 2012 we have taken the opportunity to rebalance our fleet and expand our adventure cruise capacity. Quest for Adventure allows customers to experience the informal, adventurous and small ship experience of before, and also benefit from the added service extras of the overall Saga cruises brand. "Our integration plan means we can offer customers the best of both worlds." Shaw added, "We always welcome feedback from our customers and having listened to comments we have reviewed what's included in the price. For cruises aboard Quest for Adventure travel insurance, additional cancellation cover, our UK travel package with private car service and a choice of two excursions for each seven days on board are all included," continued Shaw. After Quest for Adventure's inaugural eight-nights cruise departing from Southampton, the summer programme will consist of 6 cruises departing from Dover. From 18th August 2012, Quest for Adventure will leave the UK at the beginning of her fly-cruise program taking in the East Coast of North America as well as Central America, with ports of call including Cuba, Mexico, Belize, Guatemala as well as cruising the Panama Canal and many ports of call in the Caribbean over the Christmas Festive Season.